With an average Pumpkin weighing around 6 kilograms in total, the bigger the pumpkin the better is the Jack-o-Lantern. Many giant pumpkin contests around the world have seen records of 450 kgs of the weight. As a food, pumpkins can be cooked, baked, steamed, roasted and boiled. This is why Pumpkins are extensively used in international cuisines and 100 grams of a pumpkin would release around 26 Calories of energy. Pumpkins are almost 90 % of water and this is why they are the lowest in calories. This means you can have a tummy full of pumpkin without worrying about your weight. So if you on a diet loss plan and need to lose weight without starving, this is what you should be eating throughout the day. Pumpkins have been recommended for curing snake bites and freckles on the skin for ages. For this just mashing a pumpkin and applying it over the affected areas is necessary. Freezing a mashed pumpkin and then eating it like and ice cream dessert can help reverse the effects of too much heat in the body and is especially effective in the summers. Pumpkin is also rich with essential nutrients and a cold potency food, thereby increasing the immunity of the body and enhancing the bacteria fighting strengths of the body. While natives and tribes dried the skin of pumpkins making mats out of them, the other tribes have extensively used the seeds as medicines. 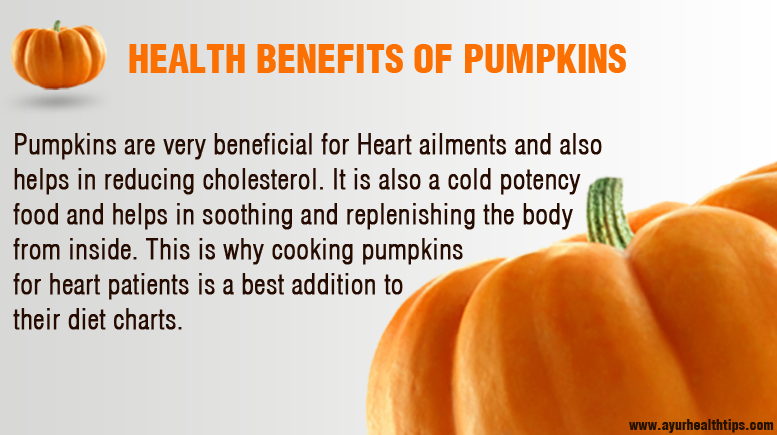 This is why a healthy dose of pumpkin consumption is very effective in naturally detoxing the body. Red or Green, your choice of Pumpkin will make you healthier!